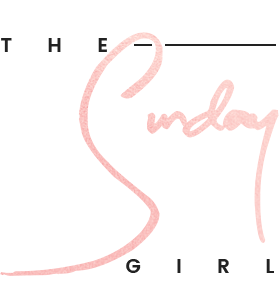 I couldn't feature the new MAC Sharon Osbourne The Duchess Palette (review here) and not post Kelly's palette. That would just be rude. 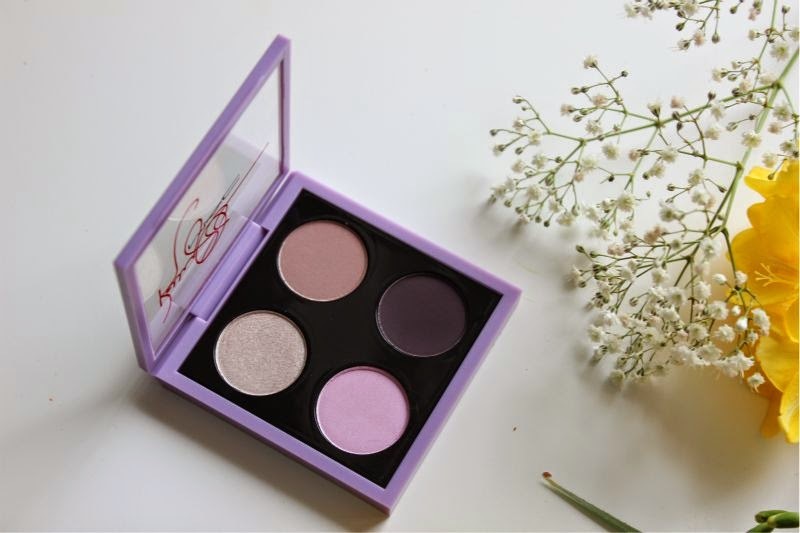 Kelly's quad for MAC is called Bloody Brilliant and is a must have for any purple or pastel eyeshadow enthusiast but has been designed to suit most tastes with the addition of two neutral shades. Bloody brilliant? You be the judge. As I said in my previous post I was told that the packaging has been selected in such hues to reflect each woman's hair colour - red for Sharon and lilac for Kelly. How true that is I am not sure but it sure does make sense. I like MAC's standard black packaging but a little pop of colour and change of pace every now and then is great. I think I prefer Sharon's red casing over Kelly's Lilac (which reminds me a little of the Dame Edna collection from many moons ago) but get the thumbs up. As with all MAC packaging the bulk is constructed from plastic which makes it durable and long lasting. No complaints what so ever. As you can probably see this is a little more colourful compared to Kelly's mother's version but still really wearable. 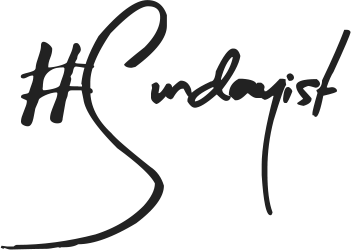 Much like Sharon's palette this contains four eyeshadows, one shimmer formulation, one matte, two satins, one permanent shade and three limited edition hues. If like myself you steer away from bold or coloured eyeshadows I would recommend the MAC Bloody Brilliant palette as a great way to ease yourself in. Yes the lilac and deep purple won't be to everyone's taste but they are surprisingly flattering and a great, easy day to night palette too.The four shades are as follows: Spoonful of Sugar (Veluxe Pearl), a very shimmery yet soft textured bright shimmering ivory, in some lights this looks silver. This makes a great highlight be it on the eyes or face for that matter. Tickety Boo (Satin) a soft, cool toned mauve this is a unique shade that will be beautiful on green eyes and makes a great transition shade for a purple smoky eye. Neutral yet different. Fizzy Rose (Satin) another soft hue - a pinky come lilac. Not entirely original but pretty none the less. Lastly we have Shadowy Lady (matte) which is a permanent shade. If you like deep, vampy shades and want something a little softer than your typical matte black shadow this is a great alternative. A deep inky blue come indigo hue that I personally enjoy as an eyeliner. 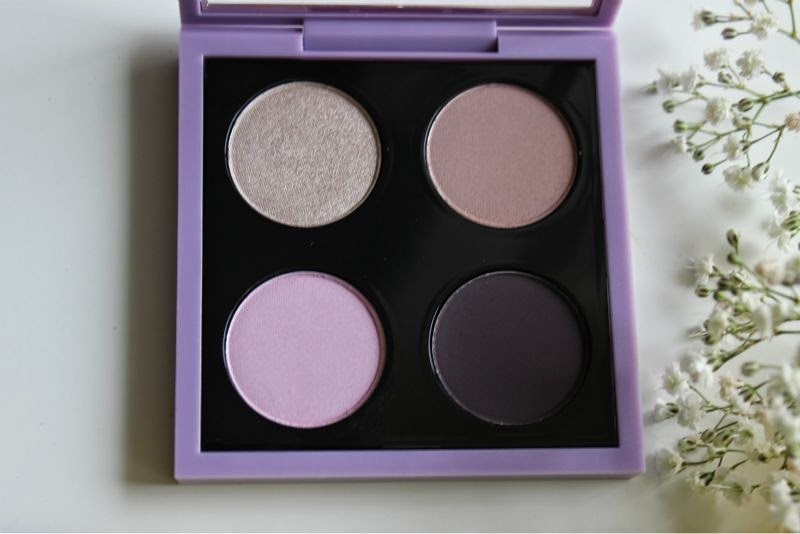 All four shades within the MAC Kelly Osbourne Bloody Brilliant Eyeshadow Quad work well together as well as worn individually. I only received this palette yesterday so I have not had the full opportunity to wear test it. 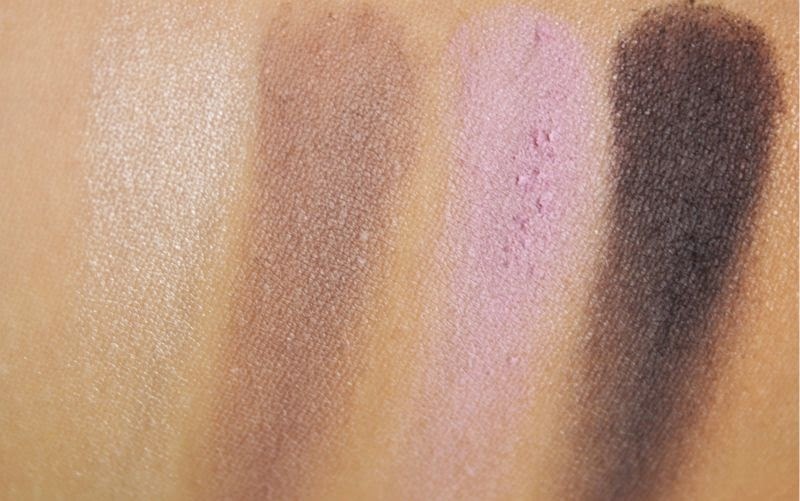 I have applied all four shades to ensure they apply as well as any other MAC eyeshadow but can not say for sure how long each shade will wear. As with all MAC eyeshadows I found this selection to apply best with a primer and typically I can achieve around 8 hours of crease free wear from a MAC shade and this quad shouldn't be any different. 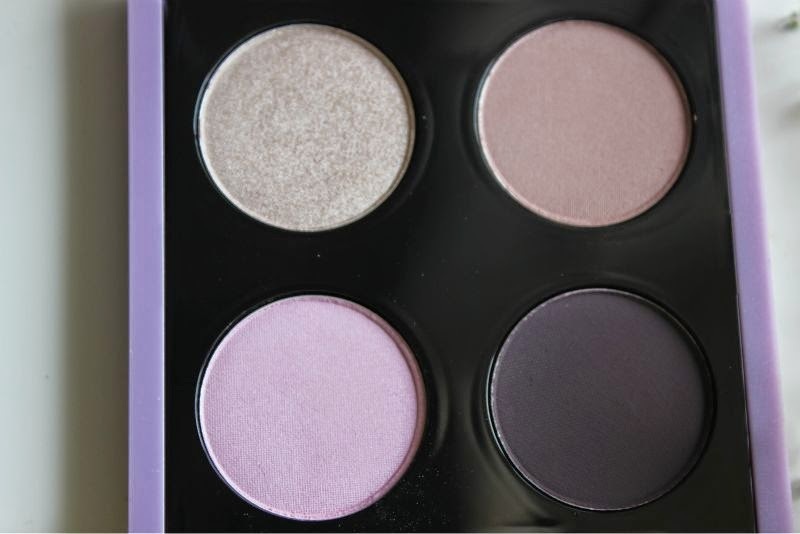 Annoyingly the MAC Kelly Osbourne Bloody Brilliant Eyeshadow Quad has sold out online but I did see it on a few counters yesterday so if you live close to a MAC counter I highly suggest popping in store .It costs £33.